Today is the last day I will ever wear contact lenses. Hopefully. Certainly these contact lenses. My LASIK procedure is in three weeks, and I have to stop wearing my lenses today to prep for it. And I have five pairs left. 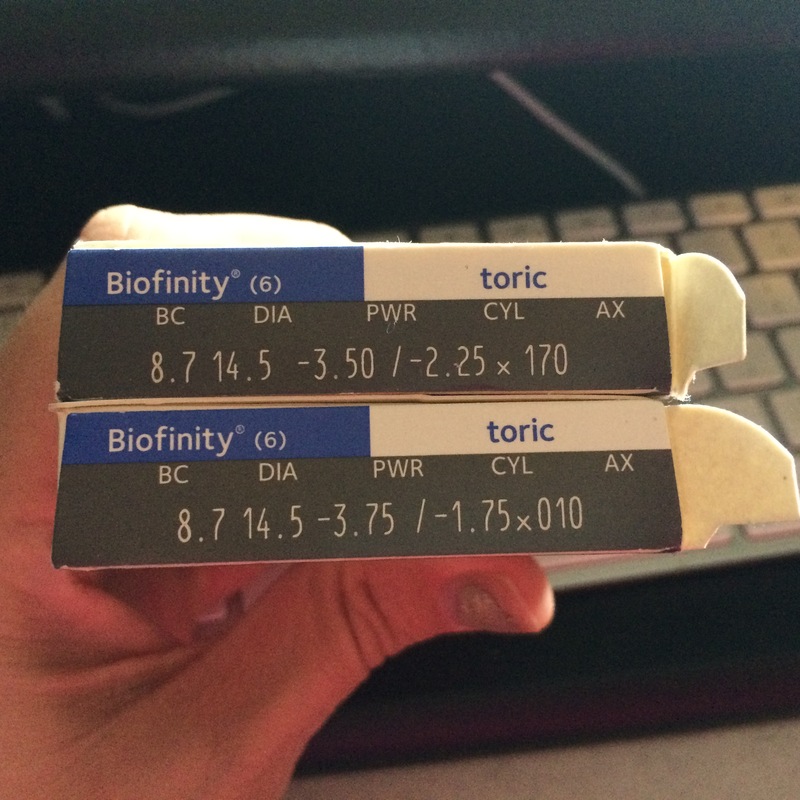 So I thought I’d post the prescription here on the very very very off chance that someone here wears the same type and prescription. If they work for you, you can have them. I am also more than happy to send them to a charity, if there is one that accepts contact lenses. So please let me know if you know of one. Googling wasn’t a ton of help. Please share this with anyone that might be able to use these. I’m so jealous that you can have Lasik. My doctor said I can’t have the procedure (or PRK) because I have dry eye syndrome. Also, I’m more blind than you (a -4.5/-4.75 respectively).